Finding a reliable, expert plumber can be a stressful task and you need a professional who will meet your requirements first time. We are proud of the reputation we have for expertise and reliability and bring this to each new customer. Whether we attend for planned projects or emergencies, you can be confident that you will receive a service from an expert. We never charge a call out fee and we are happy to provide free estimates to all domestic and commercial customers in Nottingham. We offer a great range of services and are always available no matter what time of day or night. Plumbing emergencies can strike at any time and we offer a round the clock service to help get your life back on track as soon as possible. As a result of a commitment to excellent customer service, we receive a lot of business from repeat customers and referrals. We make sure that costs are provided up front, where possible. We are experts in all forms of plumbing installation, maintenance and repair and every member of the team meets the highest standards of training. So call today with confidence on 0115 815 7281. 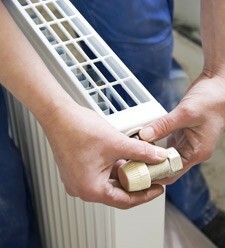 If you're after an idea about the cost of a job, call us and we will give you a free estimate!